Pitbull’s decision to cover Toto’s Africa for the soundtrack of James Wan’s Aquaman is one of the most fascinatingly bizarre decisions in recent memory. It’s an atrocious piece of songwriting, it’s earsplitting, it’s just awful. Or is it? One of the most mind-numbingly fun songs to have ever been released, there’s no way to listen to Ocean to Ocean except ironically, and what a joy it is. It’s a pleasure to disect, it’s beautiful to mashup, parody, and ridicule. Surely, that is worth an Oscar nom? Just look at Henry Cavill’s glorious Mission: Impossible mustache and tell me that it doesn’t deserve an Oscar. Look me in the eyes and say that. Cavill’s glorious upper-lip demonstration may well have ruined Justice League, but MI6 more than makes up for it. However, it’s not just Cavill who is flying the flag for Fallout, Tom Cruise is a man with varied, and supreme hairstyling. Just think back to his marvelous mane is Mission: Impossible 2, but the latest entry in the franchise slightly subdues his hairstyle into one that oozes class and cool. The whole film is clearly a masterwork in hairstyling, and it should have been recognized for that. There’s no such thing as a bad actor, only a badly used one. Tommy Wiseau’s performance in Best F(r)iends is the textbook example for how to use a “bad” actor. Unlike in his most famous work, The Room, Best F(r)iends fully plays into the fact that Wiseau is a deeply weird man. Yes, he’s creepy, unnatural, and weirdly disturbing, but this time… he’s supposed to be. The role was written for Tommy, and it shows. Nobody else could create such a strange character so perfectly. Is it a good performance? Well, he does exactly what is required for the character, so surely it is? Honestly, Game Night is such a tightly constructed film that was truly underrated in the media. The plot twists and turns, there’s a raft of fun scene transitions and a stitched-together “one take” that shows more attention to film-making craft than has been seen in any studio comedy for a long, long time. 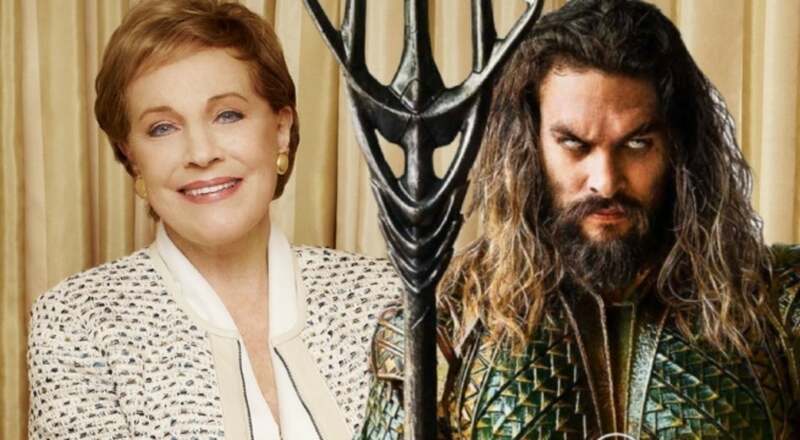 This year, the one and only Julie Andrews lent her supreme vocal talents to the Aquaman movie. In the film, Andrews voices the giant crab creature known as the Karathen. The Hotel Transylvania franchise has quickly ticked along to it’s 3rd entry without much fanfare or notice. This is an Adam Sandler film trilogy, and they’re all successful. These movies aren’t even good, but the fact that Adam Sandler and Happy Madison have tricked kids into going to their movies, in a time where their live-action ventures have been almost universally panned and avoided. Bonus points for deception, Hotel Transylvania. Not many characters have the power to make you smile every single time that they’re on screen, but the absolutely adorable Cassie Lang has that power. Not only that, but Forston actually carries of the drama of her scenes with Paul Rudd very well, and makes a surprisingly good sparring partner for Randall Park’s Jimmy Woo. Is she better than Eighth Grade’s Elsie Fisher? Of course not, but this is not a list for people who have seen Eighth Grade, this is a list for idiots, like you. Did you know that Jeremy Renner broke both his arms on the set of 2018 Feature Film Tag? The actor spent the majority of the shoot wearing green casts over his arms, which were then CGI’d out, with proper human arms CGI’d in. Watching the film, you cannot tell. It’s completely hidden, even if you’re looking for it. Those computer effects artists did not spend hours using computer effects to give Jeremy Renner fake arms so he could play Tag with Hannibal Buress and Jon Ham to be snubbed this hard. Now, the official award for the third-best Superhero movie of the year does not exist. But if it did, Black Panther would be a shoe-in, surely? Competition would only come from Aquaman, Deadpool 2 and Ant-Man & The Wasp, and most would say that Black Panther’s huge cultural influence would put it above both of those films. There may be trouble if Upgrade was to be adjudged a superhero film, the imaginative movie isn’t based on comics, but has many of the superhero calling cards. …it was nominated for what? 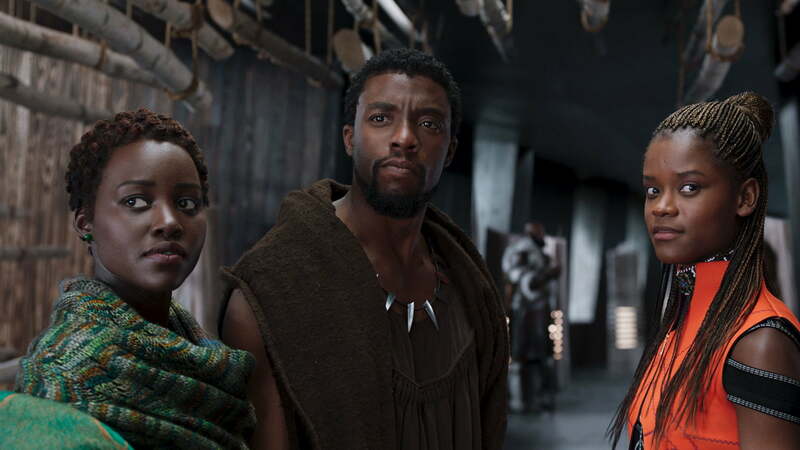 The general consensus on the internet is that Black Panther’s massive cultural influence has seen it receive far more Oscar nominations than it deserves, and that’s a consensus that I agree with. However, there is no excuse for snubbing Andy Serkis’s performance as delightful arms dealer Ulysees Klaue. Easily the single most entertaining film performance of our times. Serkis was continually snubbed during his time as Caesar in the Planet of the Apes film trilogy, so it’s not really a surprise to see him snubbed again here. But seriously Hollywood, recognize talent when you see it! Want more end of year content? The final episode of the Fantastic Fools Podcast for this season wraps up the best and worst of 2018. Listen on iTunes, Spotify, or by clicking the player below.